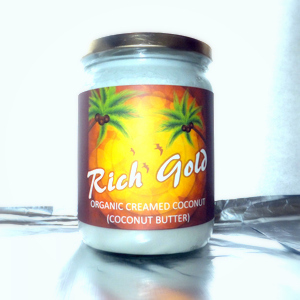 So Rich and Satisfying Often called Coconut Butter, Creamed Coconut is pure ground coconut meat in its own natural oil. 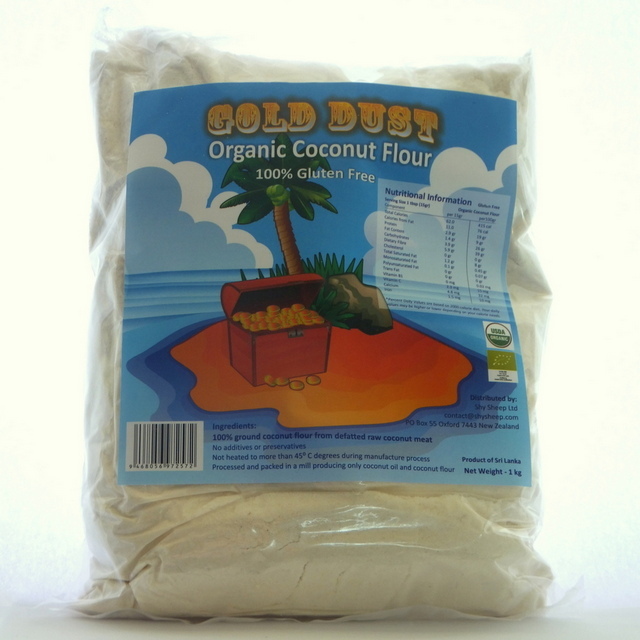 It gives a rich, creamy flavour to cooking, baking, desserts and smoothies. 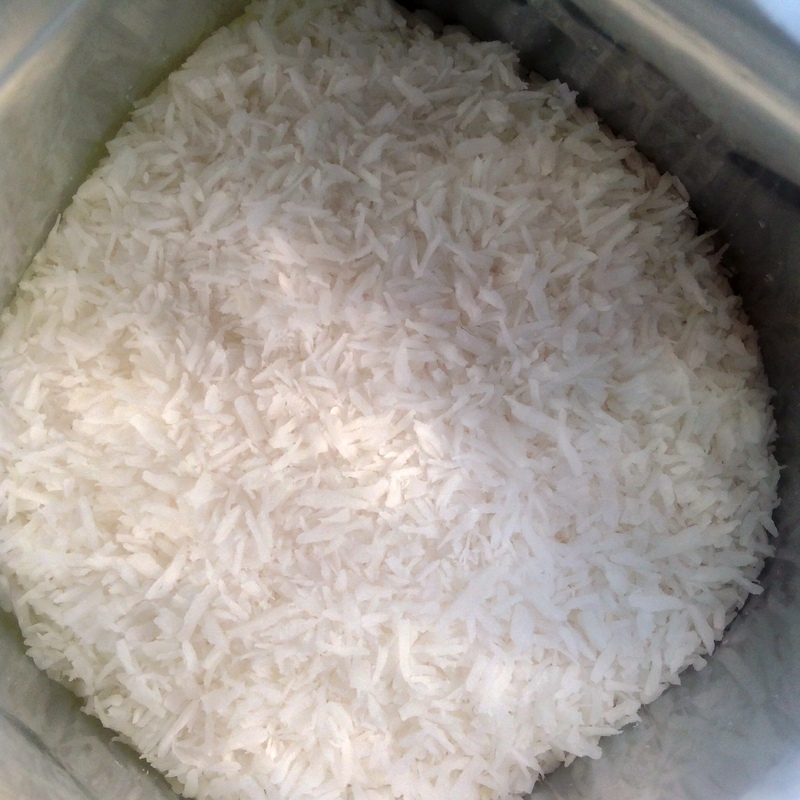 Can be grated, sliced, chopped, melted or dissolved. 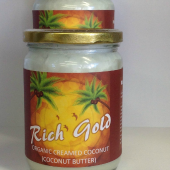 Creamed coconut comes in two layers; the white oil layer at the top and the solid yellowish layer at the bottom. Before use, warm lightly to soften, then stir vigorously to mix the layers back together. Or you can put the whole contents of the jar in a food processor/blender. The contents will become solid again below 26 °C. Scrape required amounts with a fork thereafter. 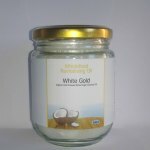 You can add back water and make coconut cream or milk as a substitute for tinned coconut cream or milk. 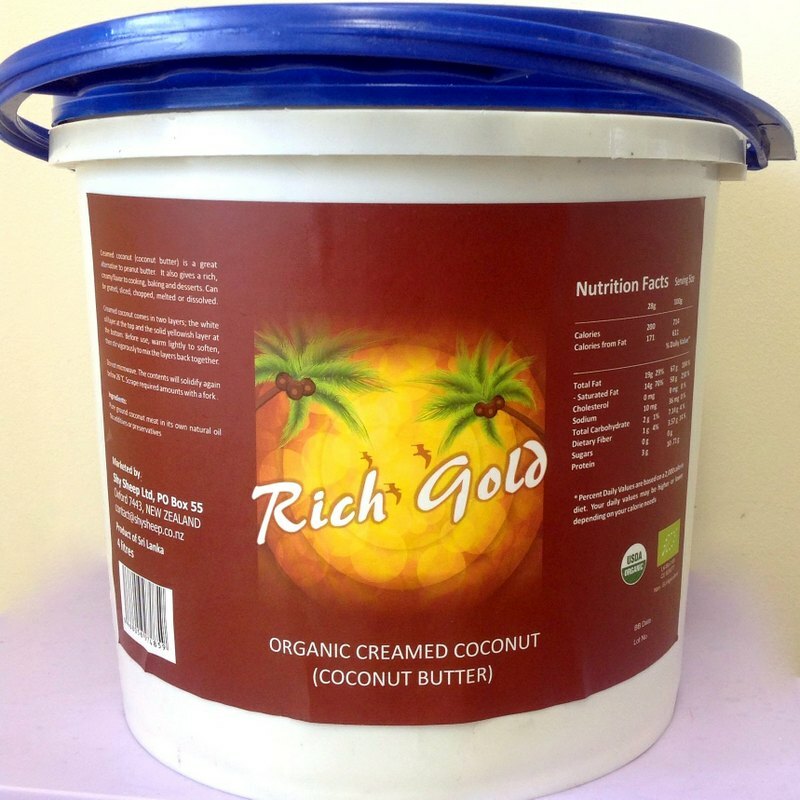 Mix together: 1/2 cup hot water 1-4 tablespoons Creamed Coconut, according to your taste Rich Gold Organic Creamed Coconut is produced from organic coconuts harvested in Sri Lanka in accordance with organic principles and certified to meet international regulations EU(EEC 2092/91) and U.S. (NOP/USDA).